Complaint • Utah's high court considers whether store policies trump employees' right to defend themselves. Employees of Utah companies should not have to choose between self-defense and their job, an attorney for six fired Wal-Mart employees told the Utah Supreme Court on Wednesday. Lorraine Brown, an attorney for the six who were fired after confrontations with shoplifting customers or another employee&apos;s angry spouse, told the court that Utah workers sometimes had to confront a "terrible choice" of trying to ensure their own safety or keeping their jobs. "No employee should be required to make this choice," Brown told the court. 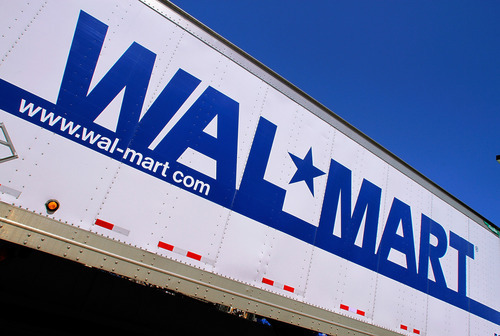 The case arose out of Wal-Mart&apos;s firing of the six for violating company policy that requires them to back away from confrontations where a suspected shoplifter or customer brandishes a weapon, then withdraw to a safe position and call law enforcement. In a January 2011 incident at a Wal-Mart in Layton, three employees confronted a man who had put a laptop computer down his pants and escorted him to a security office. There, the man showed them a gun and, the employees claim, pushed it into one of their backs. The three grabbed the gun away and pinned him against a wall before police arrived. They were fired because Wal-Mart said they should have allowed the man leave the office and not wrestled with him. Two employees were fired at the Wal-Mart in West Valley City after an incident on Christmas Eve of 2010 when they grabbed a shoplifter who was attempting to run, and who then pulled a knife and threatened to stab them. Wal-Mart said the two should have backed away from the woman instead of grabbing her, though the employees say they had grabbed the woman before she brandished the knife. In a third incident, also in 2010, an assistant store manager was fired from the Cedar Hills store after he was confronted by the husband of another employee who believed the two were having an affair. The assistant manager shoved the husband into some shelves after he had walked away pulling his wife by the arm. The six dismissed employees sued in federal court, claiming Wal-Mart had implied they couldn&apos;t be fired for such incidents if they went through extra training and that they had the right to defend themselves without risking their jobs. U.S. District Judge Robert Shelby ruled last year that the employees were at-will workers who could be fired under Utah law because they had no explicit contract with other guarantees. But Shelby asked the Utah Supreme Court to decide whether there is an exception in Utah&apos;s employment laws for self-defense as a "legal right or privilege" for which employees cannot be fired. An attorney for Wal-Mart, Kathleen Toth, said that by allowing that exception in Utah law "you take the decision away from Wal-Mart, away from the employer, and put it in the hands of the judiciary." Several Utah Supreme Court justices objected to that characterization, saying there are lawsuits all the time over whether people were wrongfully fired and that public policy creates conditions that allow them to sue. The justices vigorously questioned both sides and the arguments ran to nearly an hour, way beyond normal time limits. Justice Thomas Lee said he found Brown&apos;s statements, that the case is about a right to self-defense, an "overgeneralization." "It doesn&apos;t at all seem unreasonable to me for a large retail establishment to chose de-escalation rather than a stand-your-ground style of self-defense," he said. Justice Christine Durham took on Toth&apos;s argument that the judicial system should not interpret public policy so that it puts itself as arbiters of whether employees are entitled to a self-protection exception to state employment laws. "I&apos;m mystified by the notion that somehow Wal-Mart should get to be the final judge of whether the right to self-defense was necessary in a particular fact scenario," she said, pointing to other exceptions that lead to litigation.